Go to a Rock Concert — Done! 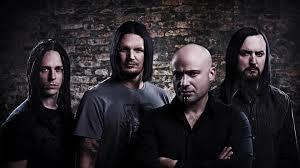 When I put “go to a rock concert” on my 60th birthday bucket list, I really wanted to write “go to a Disturbed concert,” but at the time the band had not yet announced its 2016 tour. When I found out they were going to be in Indianapolis on July 20, I had my date! The bucket list item was completed last night, and the fun we had puts it in my top three with “drive a Mustang” and “go to Scotland.” So Much Fun!!!!! My daughter Ali, a music fan herself, kindly took a half day off work (this morning, to recover after getting to bed around 2 am) to come with me to the concert. On the long drive to Klipsch Music Center in Noblesville, we reminisced about her coming face-to-face with Adam Horowitz (Ad-Rock of the Beastie Boys) at a BS-2000 concert in Chicago, and tried to remember whether Fall Out Boy used to play RibFest in Naperville. We both have vivid memories of how Ali on school days used to come down to the kitchen at 5:45 am with her CD player and crank up the B-Boys tunes. She knew them by heart so well that when a swear word was coming up, she would rush to the player to fast-forward through it so that I would not be shocked. An important teen/mom moment was the time in the car when I accidentally sang the line “I’ve got something for his punk a–” from Sublime’s “Santeria” without bleeping out the “a–.” A teachable moment, but she was the one doing the teaching…for months afterwards! That incident led directly to my having to clap my hand over my mouth last night after singing the opening line of Disturbed’s opening number. This great song, “Ten Thousand Fists,” starts “One more goddamn day…” Ooops! Oh, well, it was a night for slipping morals. By the time Disturbed got to “Stupify” and David Draiman (highly talented lead singer) asked the audience whether we were ready to talk dirty, I was right there with the crowd in pumping my fist and responding “yeah”! Well, the first verse is punctuated with the f-word, but when it came down to it, it was easy enough for me to substitute the word “rock” from the second verse in its place. My purity was saved, sort of. Like Jimmy Carter, I sinned just by thinking the mother of all bad words. 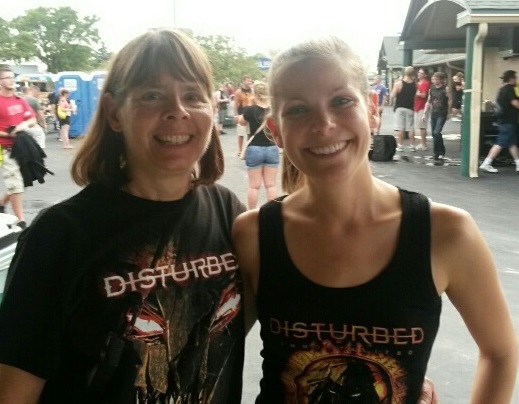 Disturbed plays heavy-metal alternative hard rock (or however you want to define it). Breaking Benjamin, another heavy-metal band, was their main opener (along with two other bands that we missed during the drive up). Listening to Breaking Benjamin gave me and Ali the chance to practice making our devil horns before we needed them for Disturbed. When a moment came for raising up the sign of the horns, we would both surreptitiously look down at our hands, awkwardly get the fingers in the correct positions, check our work, and then raise our arms triumphantly, if not sheepishly. By the time Disturbed’s “Inside the Fire” came along, we didn’t even have to look at our fingers first anymore. “Inside the Fire,” as a matter of fact, may have been the most impressive moment of hearing the music in a live setting. The concert as a whole featured lots of awesome pyrotechnics, but at one point during “Inside the Fire,” parts of the stage seemed to actually be on fire and Ali with a worried look leaned over to ask “is this okay?” It was many moments before I was sure it was in fact not a terrible malfunction. The second-best live moment was “The Sound of Silence,” the cover of Simon and Garfunkle’s tune, which is currently Disturbed’s big hit, charting on both Billboard’s Mainstream Rock (at #1) and Hot 100 (at #42) charts. For this performance the stage went dark for a few minutes while the guitars and drum set were replaced by a cello, violin, and set of kettle drums. Awesome! Mike Wengren, Disturbed’s drummer, was dramatic on the kettle drums, and of course Draiman’s incredible voice brought out every bit of despair in the song. 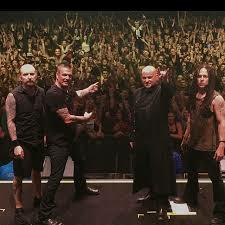 Disturbed is amazingly talented, and it shows in their live performance. 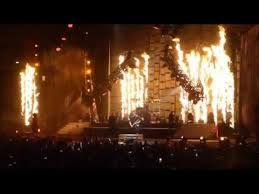 Ali was especially impressed with the calm but dominant presence of Draiman on the stage. No question about it. It was a wonderful show in every way, with the only possible downside being the concert-goers’ standard lament that it should have gone on longer. Nonetheless, when they finished the show, as they usually do, with their biggest hit, “Down with the Sickness,” we were able to leave satisfied. One final concert note is that Ali and I were wishing for a literal “down with the sickness” for ourselves, who both have identical coughs that have been hanging on for over a week. Indeed, in addition to abandoning our morals by singing the swear words and flashing the devil horns, we were hoping that some of that medicinal marijuana that kept wafting from other audience members past our lungs would effect a cure! Next Article Next Article: I Won!